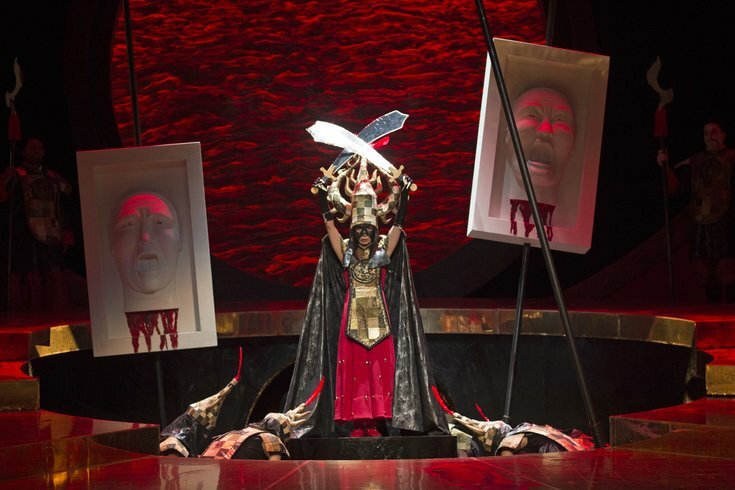 "Turandot" at the Academy of Music will premier during Opera Philadelphia's 2016-2017 season. If you thought binge-watching was just for Netflix, Opera Philadelphia is out to prove you wrong with their 2016-2017 season. The company's new format will pack three productions into an 11-day period in fall 2016 and offer two additional operas in spring 2017. Set in the Scottish Highlands in the early 1970s, the opera tells the story of a religious young woman, Bess McNeill, and of her love for her husband, Jan, a handsome oil rig worker. When Jan becomes paralyzed in an off-shore oil rig accident, Bess’s marital vows are put to the test when he encourages her to seek other lovers and return to his bedside to tell him of her sexual activities. He insists that sharing these stories will feel like making love together and that their love for each other will keep him alive. Bess’s increasing selflessness leads to a finale of divine grace, but at great cost. This will be the world premiere of the opera, based on an Oscar-nominated 1996 film by Danish filmmaker Lars von Trier. In ancient China, Princess Turandot is an enigmatic beauty who reigns with an iron fist and an ice-cold heart. To her would-be suitors, she has issued a decree: he who can answer her riddles will win her hand -- all others will suffer punishment by death. When a mysterious man passes her test, will she finally open her heart to love? Attendees will find out during this opera, performed in Italian with music by the famous Giacomo Puccini. Shakespeare’s classic story of greed, tyranny and remorse gets an original twist. For this opera, the story is set in the eastern provinces of the Democratic Republic of the Congo. It will also be performed in Italian. This opera tells a medieval story of chivalry and tragic love, where guests are transported to Europe at the end of World War I.
Figaro, a wily barber and part-time matchmaker, has finally fallen in love. However, like everything else in his life, it's complicated. This Mozart opera is often regarded as one of the greatest ever written.